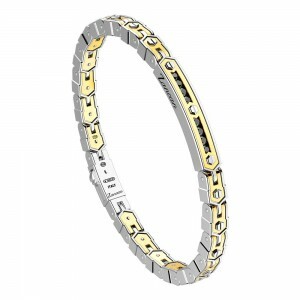 Collections>Eternity>Rigid bracelet in gold and silver. 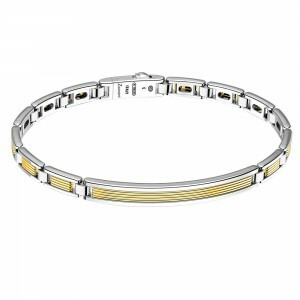 Home > Collections>Eternity>Rigid bracelet in gold and silver. 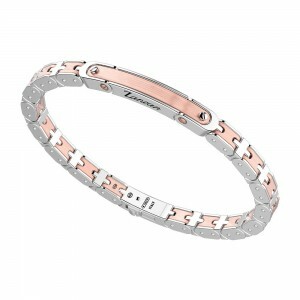 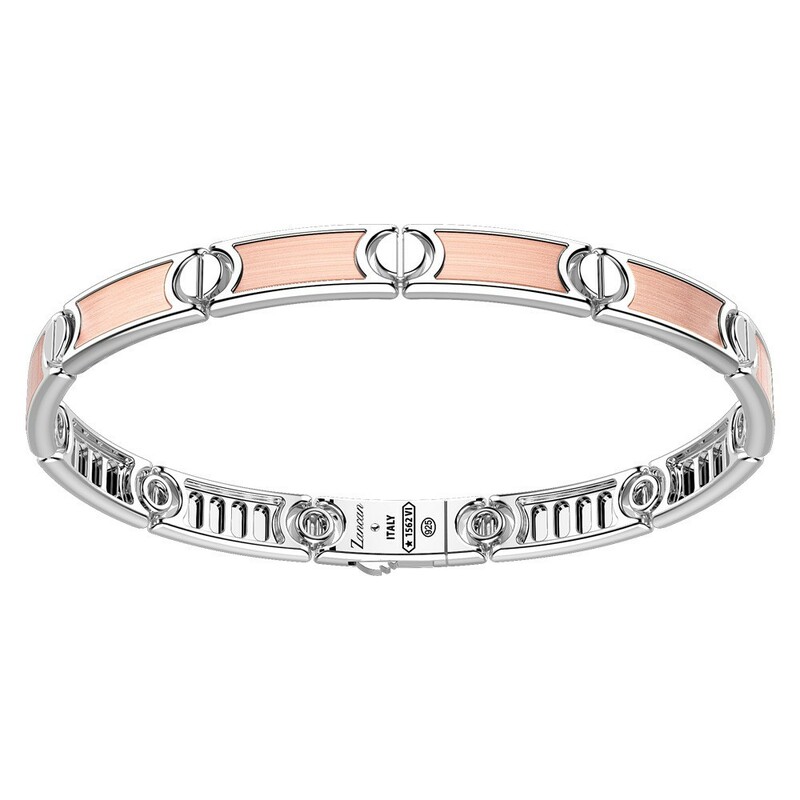 Rigid bracelet with alternate silver plates and rose gold interior. 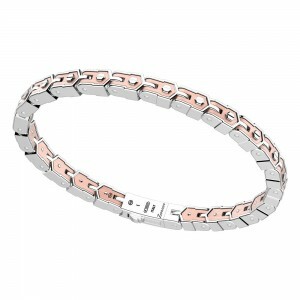 Bracelet weighing 31,50 gr in 925 silver. 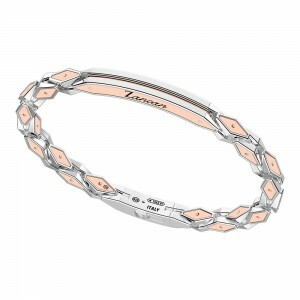 Inserts in 18 kt yellow or pink gold weighing 1,30 gr.